Is there a little voice in your head that says things like, “you’re not good enough,” “you’re a fraud,” or “who do you think you are to do that?” You’re not alone. That’s your inner critic (also called imposter syndrome) and it can be incredibly debilitating. 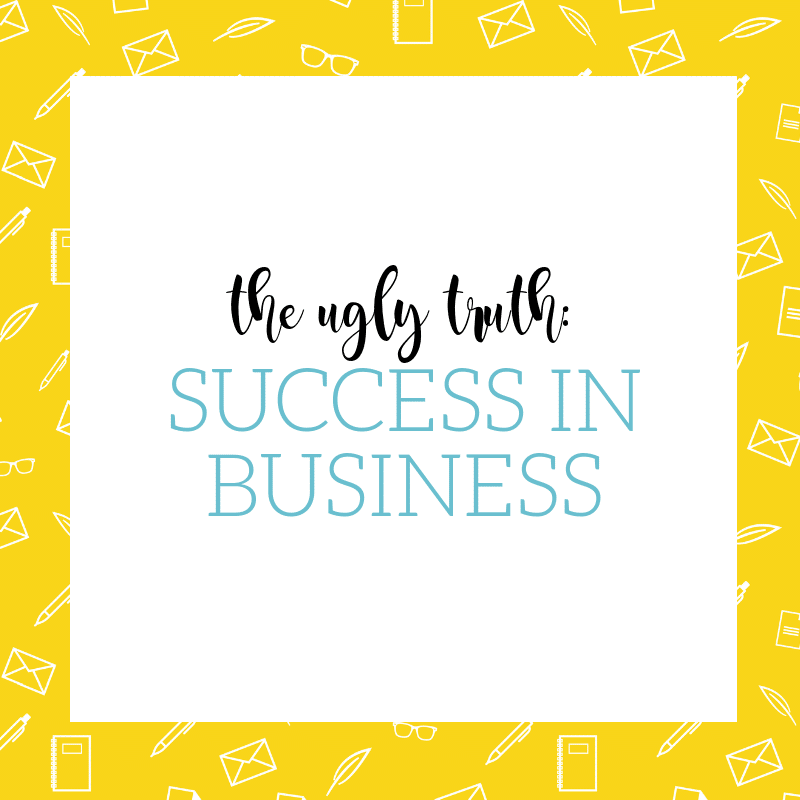 I help women who own small businesses overcome their limiting beliefs, and imposter syndrome is one of the most common. I’ve done a lot of research and reading on this topic, and have found some great resources that can help with quieting the inner critic. If you’re doing mindset work around inner critic/imposter syndrome, self-doubt, or self-judgment, these are a few books that may be incredibly useful to you. No list of mindset books is complete without “The Big Leap.” I believe it’s the first book anyone should read when working on their mindset. This book can help you create a major perspective shift. You’ll learn about the four most common fears that hold us back, and begin to understand how you can push beyond them to achieve your full potential in work, relationships, finance, and all other walks of life. Feel like you don’t measure up? Think no one will care what you have to say? “Braving the Wilderness” may change your mind—and life. Brené shares her four-step process to find true belonging through authenticity, bravery, trust, and vulnerability. The book is about learning to stand confidently in yourself as you are, rather than always trying to fit in. And the included story from Viola Davis is worth every bit of the book’s price. 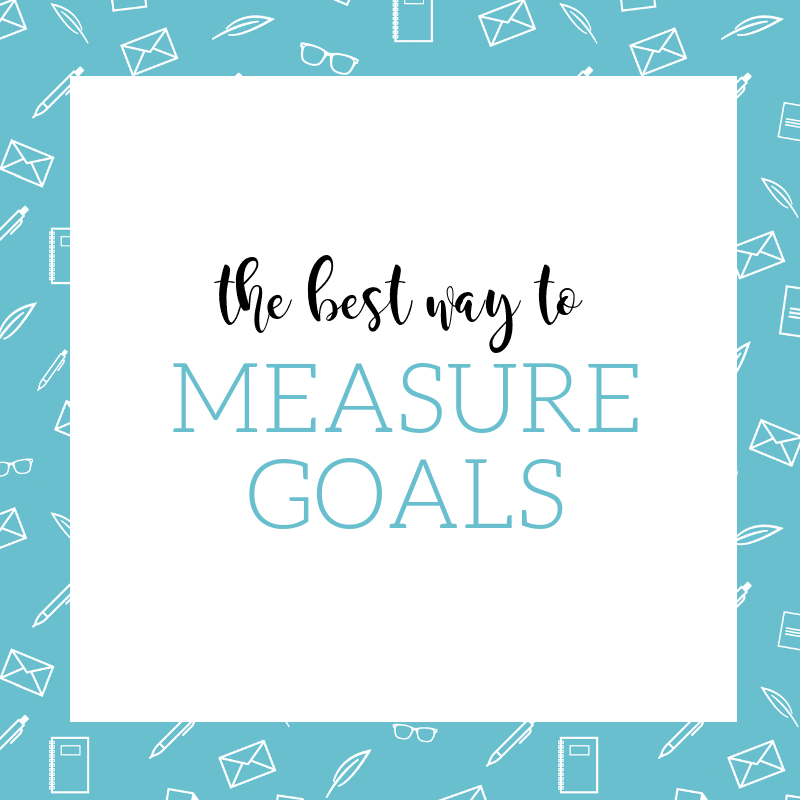 Each chapter includes a discussion followed by practical tips and exercises (including journaling questions) to help you move past the internal barriers that are holding you back. It’s all about finding your voice and mission so you can finally create the life and business you really want. Suffer from social anxiety? So do I, Ellen Hendriksen, and many other successful people. In “How to Be Yourself,” Ellen breaks into manageable chunks the cognitive processes that make basic social settings feel terrifying. She also shares tools and techniques to push past the wall of anxiety and develop confidence to feel comfortable in any situation. It’s all about learning how to reality check your inner critic, among other things, so you can more fully engage in your life and have the social experiences you desire. Being an introvert doesn’t mean you can’t also be wildly successful. “Quiet” may inspire you to see your introverted self in a new, grateful light. Susan Cain’s extensive research shows the slow rise of the extrovert as the “ideal” for success. More importantly, she makes a strong case for the power of introverts and also how the two can personality types can cooperate. The book is a deep well of wisdom about human interaction. Feel creatively stifled by that nasty internal dialogue always telling you that you’re not enough? “Banish Your Inner Critic” can help you silence self-doubt so you can unleash your creativity. Calling upon neuroscience, psychology, mindfulness principles, and self-compassion research, this book offers DIY techniques for putting the Inner Critic in its place. Learn how to defeat the barriers holding you back, and achieve success through a positive attitude. If you like straight talk, you may like “You are a Badass.” It’s a positive kick in the pants to help you stop doubting yourself so damn much! Calling on the author’s own life experiences, this is a self-help book that shares old self-help ideas with a more straightforward bent. You’ll feel more inspired to stop caring what other people think, to figure out what you want but let go of controlling how it happens, and creating a support system and surroundings that will propel your inner badass into action. Dubbed as “duct tape for the mouth of every artist’s inner critic,” this book is a quick read filled with uplifting advice and practical exercises for silencing that stifling voice once and for all. “Your Inner Critic is a Big Jerk” introduces 10 truths creatives must face to defeat self-doubt. And this isn’t psycho-babble—it’s filled with anecdotes from successful creatives on how to silence your inner critic and build the confidence needed to create great work. There was an interesting conversation this week inside my membership community, and I’m sharing because I think it’s a great lesson about how to become an industry expert and business leader. A member shared this TED talk from a stylist who talks about dressing for confidence. Another member saw it and was upset for a reason I wouldn’t have expected. She went on to ask how someone does such a thing, identifying a topic, embracing it, marketing it, becoming known for it. First, I am so honored that members of my community feel safe enough to express such real, raw, vulnerable feelings. I love that they know they won’t be judged and instead will be embraced and given positive feedback. That’s magical. Second, this person’s experience is so incredibly common. So many of us are sitting on life’s sidelines and (with bitterness, anger, resentment, disappointment, sadness) saying, “How do I get in the game?” I’ve been there, too. My response is equally simple and difficult: Just do it. The woman in this TED talk probably started talking about this topic among friends or on her Facebook page, then turned it into a blog, then shared it on podcasts and local media, then turned it into a signature speech that she gave at local and then larger events, and finally applied to TED. The takeaway? She honed the message until it was undeniable and then shared it relentlessly. That is how you become an industry expert. It’s also how you grow a successful business. Of course, I recognize that’s easier to say than do. It takes clarity and confidence. It means honing your craft or message over time, making hard cuts and tweaking over and over until it’s undeniable. It means being persistent even when times get hard and you feel like giving up. This is the hard part. So, the woman in the TED talk was successful because she did it. More importantly, she was successful because she believed in herself and believed she could be successful. My member went on to ask about the mechanics of the process (ie, how doing a TED talk equals money and how to go from idea to undeniable). First, this woman is a stylist so that’s how she makes money; the talking, I’m sure, serves to increase her following and potential client base (or, maybe, to lead into something like selling a book). Second, it’s not just “build it and they will come.” More than just writing a blog post, you have to share it everywhere, ask others to share it, pitch yourself to podcasts and media and for speaking opportunities. You have to work hard for a long time. If you’re still stuck on the sidelines and not sure how to move from wishing to doing, let me offer a few resources to help you get going. “Mindset” by Carol Dweck … Learn the difference between a fixed mindset and a growth mindset, and why the latter is so darn important. This may be an eye-opening book that helps you begin to see why your upbringing and life experiences are making it difficult for you to dream and do bigger. “The Big Leap” by Gay Hendricks … Want to dig even deeper into why you’re stuck? This book will help you clearly make the association between your past and where you are today. And once you can recognize those patterns, you can begin to change them. I can’t stress enough how transformative this book can be and has been for so many of my clients (and for myself). “Braving the Wilderness” by Brené Brown … I adore every word Brené has ever written. I think this book is especially helpful for people who feel like they are too “different” or aren’t “enough” to ever be wildly successful. I don’t know how anyone can read the included story about Viola Davis and not be forever changed. “Expectation Hangover” by Christine Hassler … If you tend to get caught up in a cycle of big hopes and giant disappointments, then do yourself the favor of reading this book. It has lots of great exercises to help you understand the roots of your wish-defeat cycle and how to begin to dismantle it so you can let go of outcomes and finally feel joy in the moment. “Building a StoryBrand” by Donald Miller … If your problem isn’t so much mindset but just figuring out how to craft an undeniable message, then this is the book for you. The step-by-step guide for making your story compelling has been revolutionary for my business. 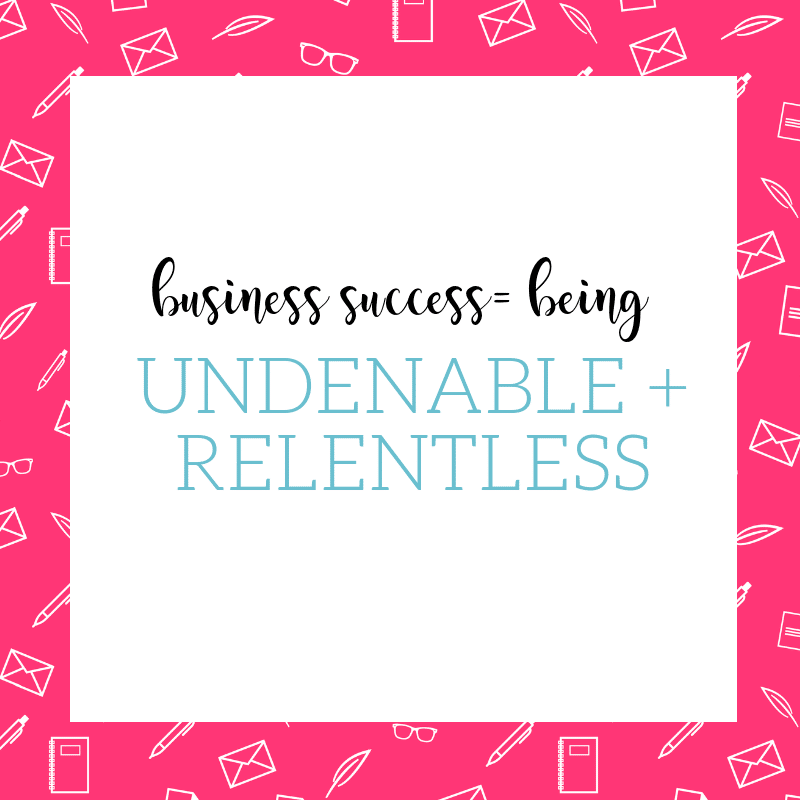 I hope this inspires you to be undeniable and relentless so you can become an industry expert and business leader. I know you can do it! * This post contains affiliate links. If you use them, I’ll receive a small reward but the cost is the same to you either way. I hear some version of these statements from most of my coaching clients. It pains me to hear them, but I also understand them. Thankfully, my days of the feast-famine, calm-crazy financial cycle are over. 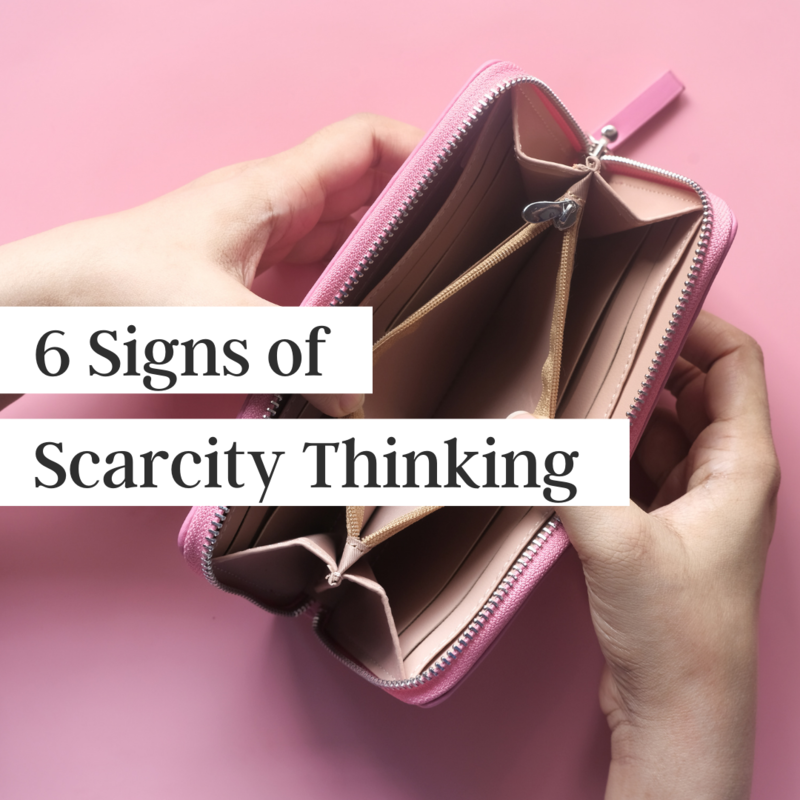 After lots of hard work, I’ve shifted from a scarcity mindset to abundance thinking. I’ve developed practical strategies for overcoming fears, pushing past doubts, and finally believing I can and will make more money. 1. Constant worry: Money is almost always on your mind. You’re stuck in a worry cycle, spending hours a day (and losing sleep at night) over your fear of not having enough money. 2. Judgment (aka secret envy): You think rich people are arrogant, lucky, spoiled, rude, etc. and having money is bad. It’s easier to say you don’t want money than to deal with your guilt, shame, or other negative feelings about it. 3. Avoidance: Money goes as quickly as it comes in. 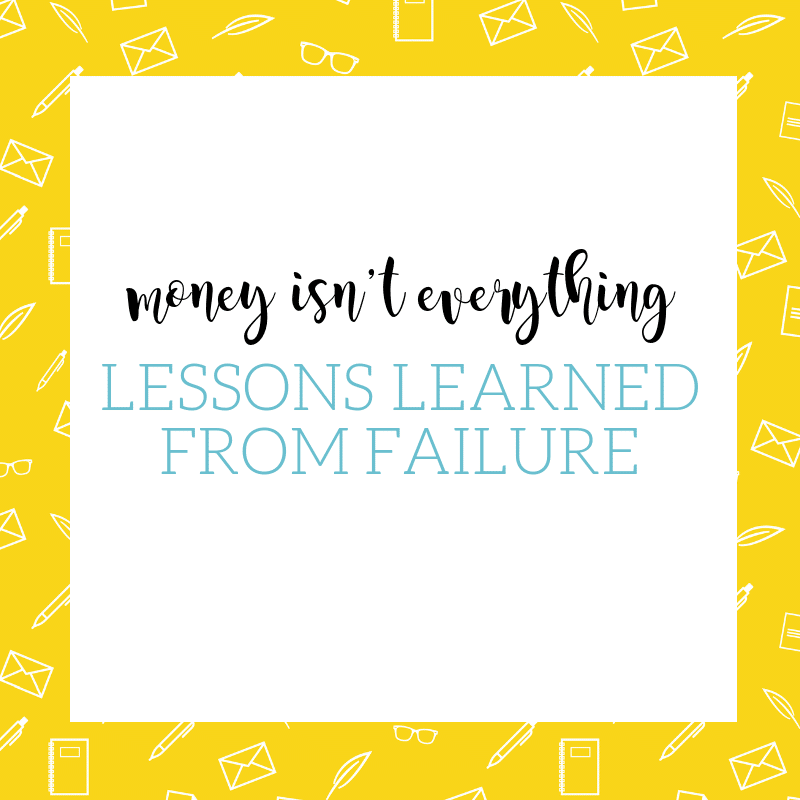 You’re “bad” with money and don’t want to deal with it (after all, “If I have money, I’ll just lose it”) so you don’t bother with pesky things like bookkeeping. 4. Low prices: You’ve priced your way to the bottom of your industry because no one would ever pay a premium for what you do, right? When someone says you’re too expensive, you believe them. 5. Overspending: Shopping is fun! You buy without thinking, spend everything you have, and use shopping like others use alcohol or food. Hitting “buy” is like a warm cozy blanket. 6. Underspending: Shopping is evil! Every penny you spend now is one less you’ll have in the future when you may need it more. “I can’t afford it” is always your go-to response (whether you’ve looked at your accounts or not). Recognize yourself in any of those? Are you letting any of these pesky mindset problems hold you back? If so, make this the year you finally conquer your scarcity mindset and start thinking like a millionaire. Sign up today for my Money Mindset crash course. It’s 28 days of inspiration and practical strategies that will challenge you to change your beliefs about money. Give yourself this gift and make this your most profitable year yet.